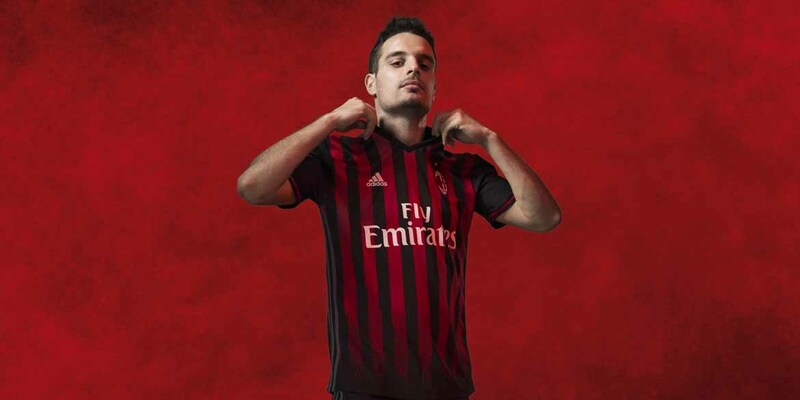 The new AC Milan home shirt comes with thin red and black stripes on the front and total black on the back. 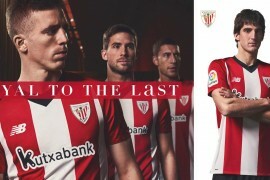 The shade of red featured in the red and black stripes is brighter than last year’s jersey and creates a dripping effect at the bottom of the shirt. 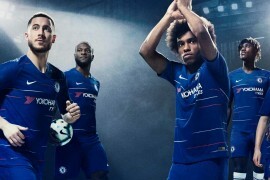 The adidas three stripes are grey to give greater uniformity to the kit design and they are placed on the side of the shirt, rather than on the shoulders, to show continuity with the shorts’ stripes. The black V-neck collar features an Italian flag on the back. 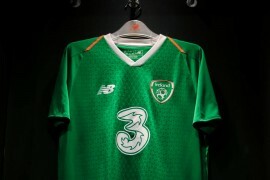 The crest displayed on the jersey returns, after a two year absence, to the contemporary AC Milan badge. The white adidas logo is on the left. The names and numbers of the players are written in Milan Type. The shorts are black with three grey stripes. 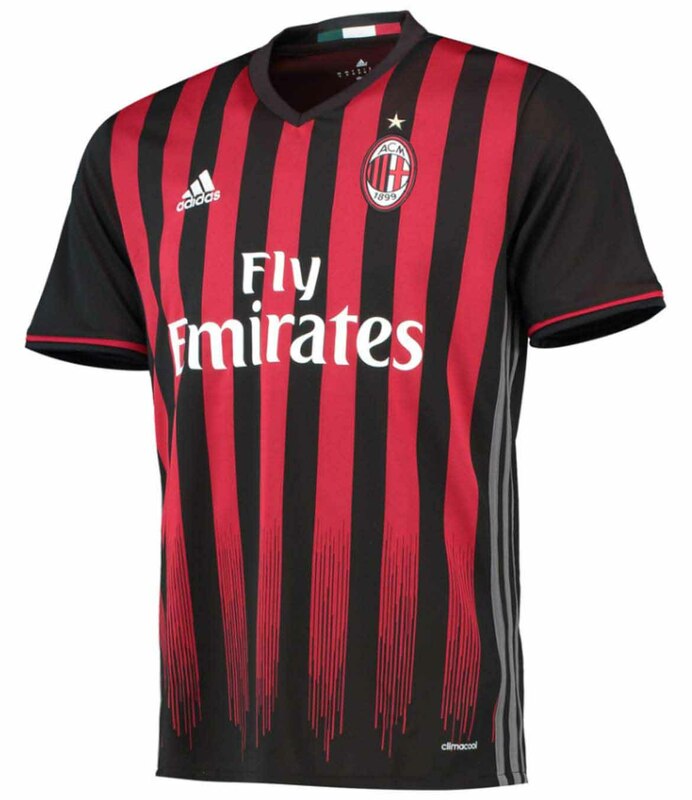 The AC Milan logo is featured on the front, while the red adidas logo is on the back. 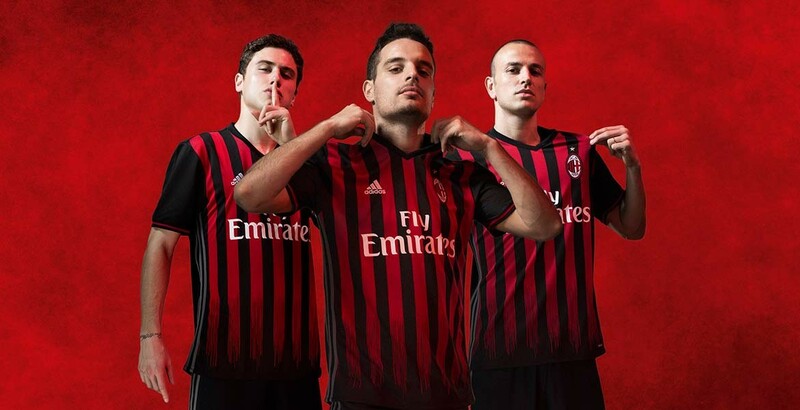 The new Rossoneri home kit is rounded off with black socks featuring elements of red.